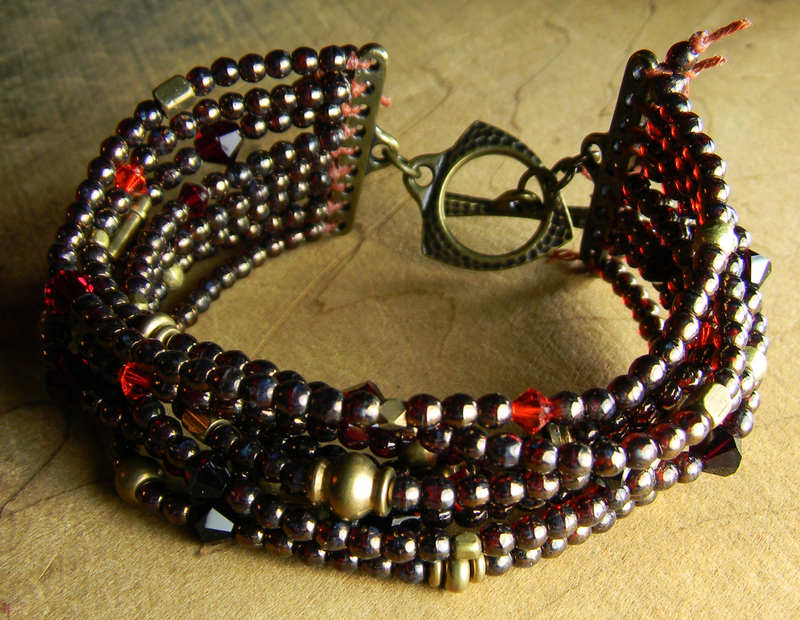 Nine strand beaded bracelet design with tiny garnet colored glass Czech beads, Swarovski crystals and bits of solid brass in different shapes as accenting metal. 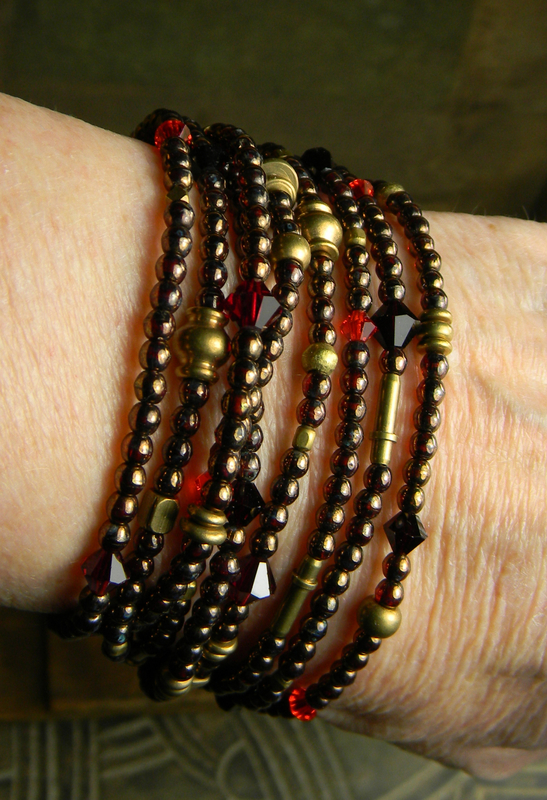 All of these luscious beads are strung onto waxed linen cord in a rich dark red color. 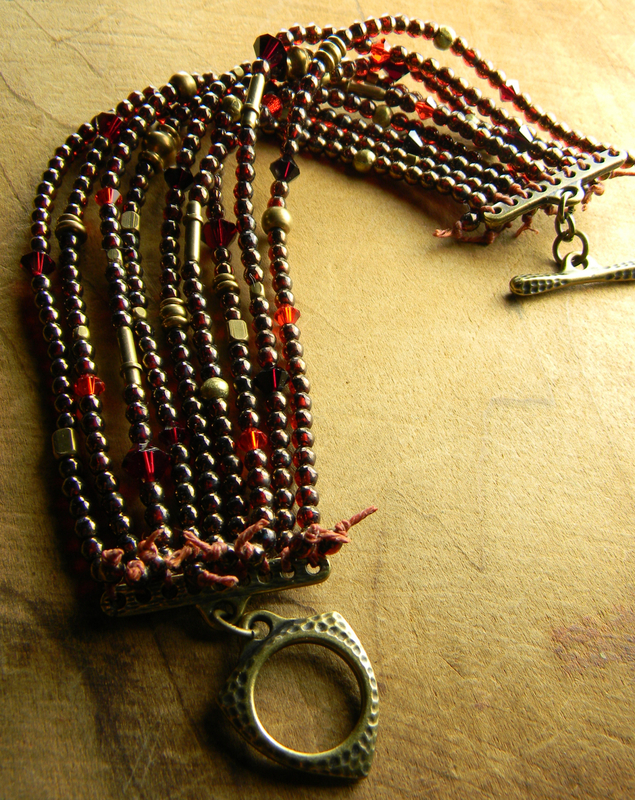 The metal beads are mostly made in Africa and are solid brass and bronze. A little bit of Swarovski crystal (garnet and red) in bicone shape for sparkle. and a hammered antique brass plated TierraCast toggle as the final touch. This bracelet is designed to fit best on a 6 to 6.5 inch wrist.